Public sentiment is mixed following the rash of kaiju battles as some view the beasts as victims and others see them as a grave threat. The US military has gone so far as to build up its own force of “domesticated” kaiju across the globe. We also learn that one of the military kaiju has supposedly died and been disposed of near Okinawa, but the Superhuman Bureau isn’t buying that story. 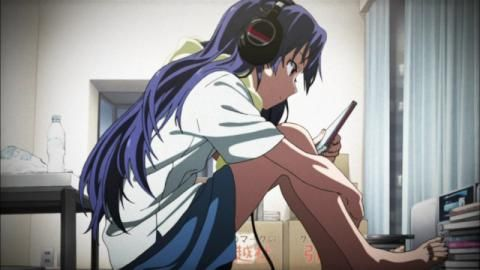 They find the beast and the Beastly Radio group behind the earlier attacks working with a group of student protesters, and Jiro’s powers again threaten to cause havoc. While a full-blown disaster is averted, the protest marches on with the beast in tow, and the Bureau pulls out all the stops to destroy the kaiju, resorting to sinister measures. 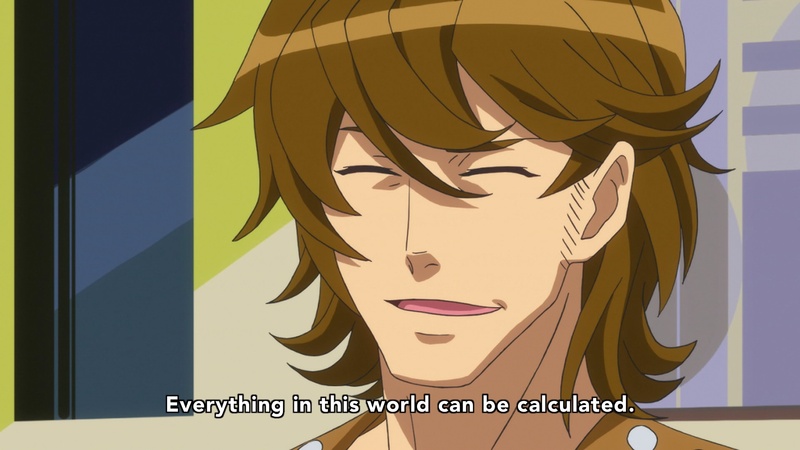 In case it wasn’t already clear, Concrete Revolutio still has a ton of stuff going on. 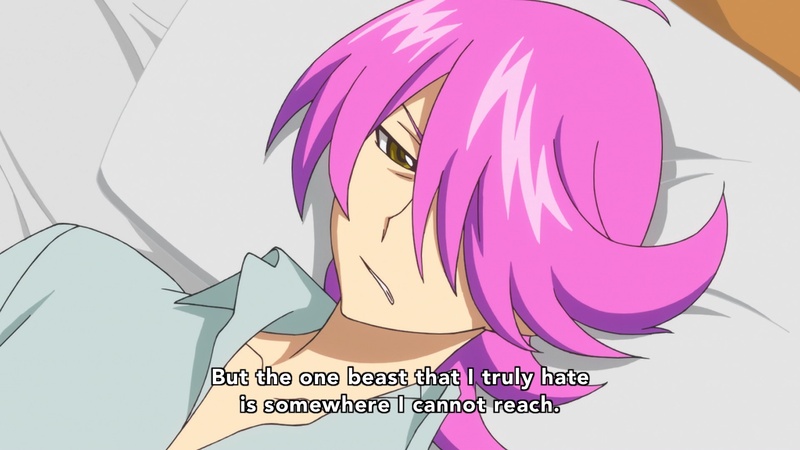 Even so, this was probably the episode that focused the most on a single event within a normal timeline. We are quickly learning more about the various members of the Superhuman Bureau and their stances on the potential threats of superhumans, beasts and monsters, but it all comes so quickly and is spread across so many characters that it all starts to feel like a blur. Taken on their own, the snippets and interactions of Jaguar, Emi, Kikko and the others are great, but taken together, it left me feeling overwhelmed. This is mostly due to the introduction of an entirely new sub-plot featuring an unnamed woman working for an “ad agency”, meeting with the also-previously-unknown government advisor Satomi. Satomi considers the Bureau an enemy, and appears to be working to shift public perception towards supporting kaiju and condemning superhumans. The still-unnamed woman helps stir up a group of student protestors who are supported by the members of Beastly Radio and the missing kaiju. It further complicates the already convoluted story from the previous episode and adds more characters and motivations to keep track of. Some of the confusion is probably due to a lack of cultural context. In the actual 1960s, Japan was experiencing a lot of social upheaval in the continued wake of World War II, and student protests against the American presence in the country as part of the Vietnam War were a major issue. 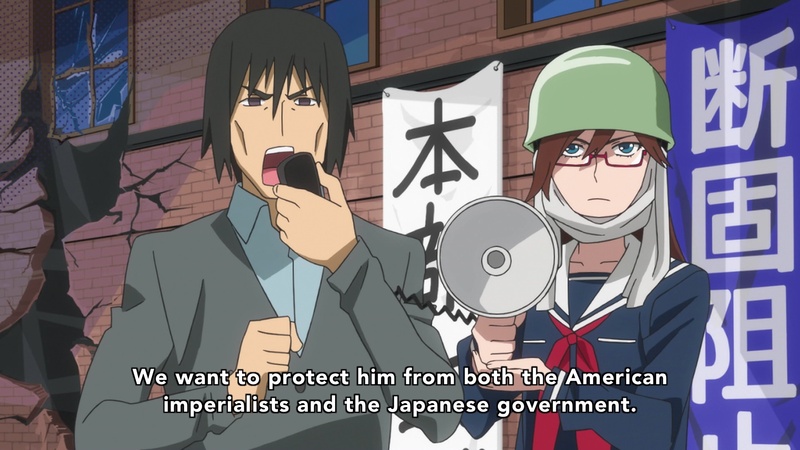 I have only a limited understanding of the historical events (which also form part of the backdrop to this season’s Young Black Jack), but the parallels are fairly clear. 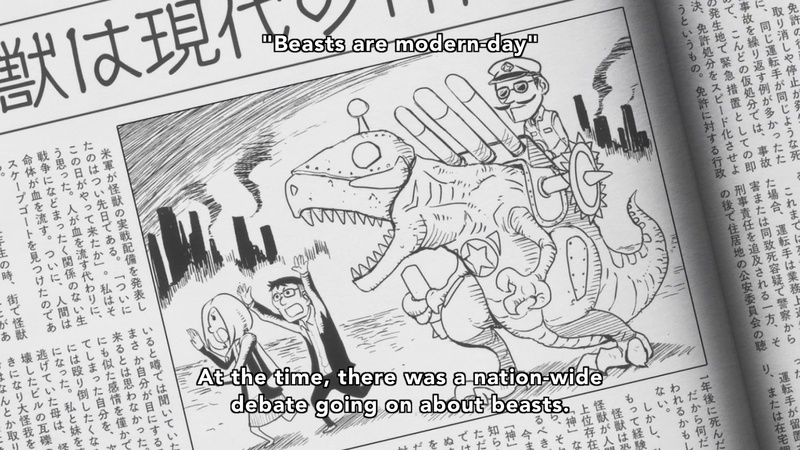 The kaiju are a living, unwilling representation of American military influence, and the protests in Concrete Revolutio mirror the real-world history quite directly. I like seeing more modern Japanese history being used as the foundation for an otherwise very pulpy show, but fear that I lack some of the cultural and historical knowledge to fully appreciate it as the creators intended. Setting aside its historical analogies, the best parts of this episode are those that deal with the members of the Superhuman Bureau. We learn a good deal more about everyone’s powers, and a bit more about their histories and personalities. 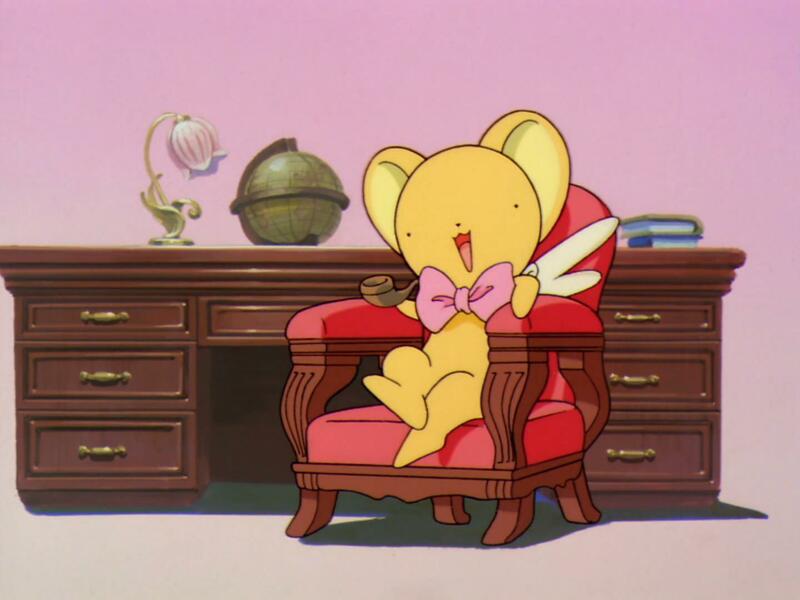 Emi in particular reveals a lot about herself in a scene with Kikko, and demonstrates that the Bureau is not above using shady and unethical methods to achieve its goals. It goes beyond doing bad things for the right reason, and this is made abundantly clear in their plan to eradicate a kaiju that has so far acted only in self-defense. While its events are more straightforward than most of the series so far, episode 5 introduces a lot of new plot threads that could end up making the entire series even more difficult to follow than it already is. Hopefully they will begin to make more use of the newly introduced antagonists, Advisor Satomi and Unnamed Ad Agency Lady. It feels like everything has been planned out in advance to come together before the end, but now that we’re in the thick of it, it’s hard to believe that all the various elements (robots, giant superhumans, bug people, etc) will all arrange themselves in a way that doesn’t feel like a perfunctory callback. All that aside, I really did enjoy learning more about our cast, and seeing the foundations laid for Jiro’s eventual break from the Bureau. I look forward to seeing how he and Kikko develop as their loyalties shift, and what becomes of the rest of their companions as we catch up to the events of the future timeline. For now, though, I’m going to buckle my seatbelt and hope the wheels don’t come off the bus before the end of the ride.